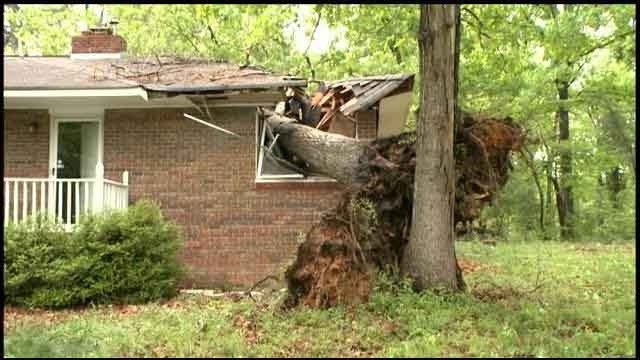 Strong gusts of wind during high wind events and storms sometimes have a nasty habit of falling trees on homes. When fallen trees hit houses they not only penetrate roofs, but they can break trusses and even support beams and wall studs. Leaking roofs and windows can allow water to reach support beams and rot them. 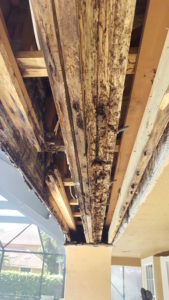 Termites are also offenders and can really cause serious damage to load bearing beams. 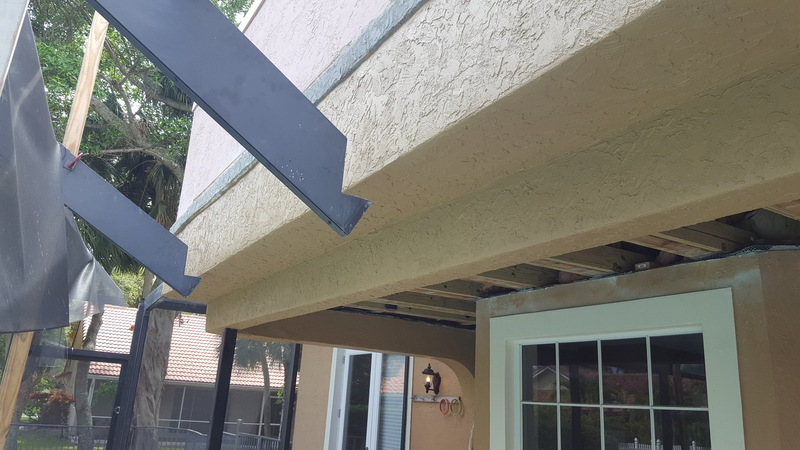 This damage usually goes unnoticed because of the stucco siding that covers them. It takes an experienced and reliable contractor to properly repair these issues without causing more problems. PMSS has been fixing structural and load bearing building supports for over 20 years. We are Building and Roofing Contractors are and licensed to repair everything in your home, from the foundation to the roof. The photo above is a good example of a structural support project. 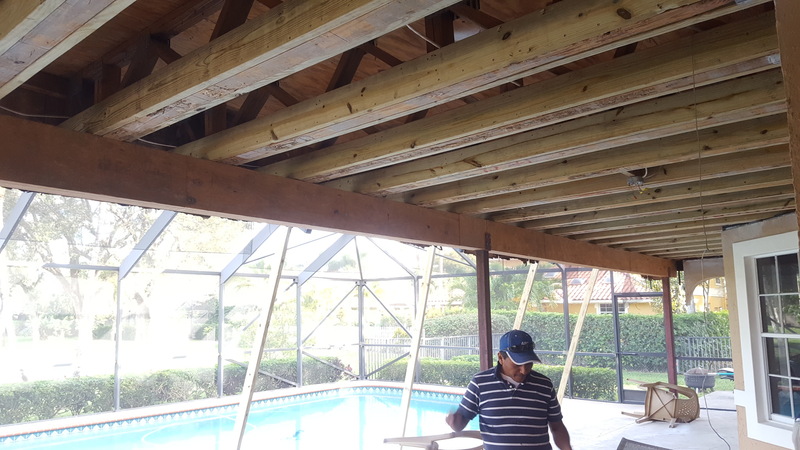 These two 20' spans support a concrete elevated patio deck. The extent of the damage can be seen in the second photo above. Our new load bearing beams are three ply laminated. The new beams sit on the buckets of the existing 3" x 3" steel columns. In this case we reused the existing steel posts. The girder trusses had some termite damage, but we were able to restore them. You can see the wood nailed on both sides of the bottom cord. Stucco replacing begins after all of the demolition and then re-construction. First the wire lath is installed. Followed by new corner bead. 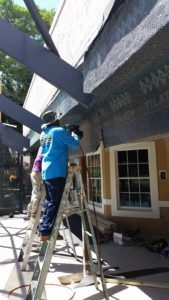 Stucco is applied in three coats. A final knock down finish is the final stucco application. There are many steps and stucco is messy, so this takes a lot of time.